GREENVILLE, SC—Expressing his disappointment shortly after sitting down for lunch at a local franchise location Wednesday, area man Peter Strauss told reporters that the customers at Burger King were actually far less appealing in real life than they were depicted in the fast food chain’s commercials. 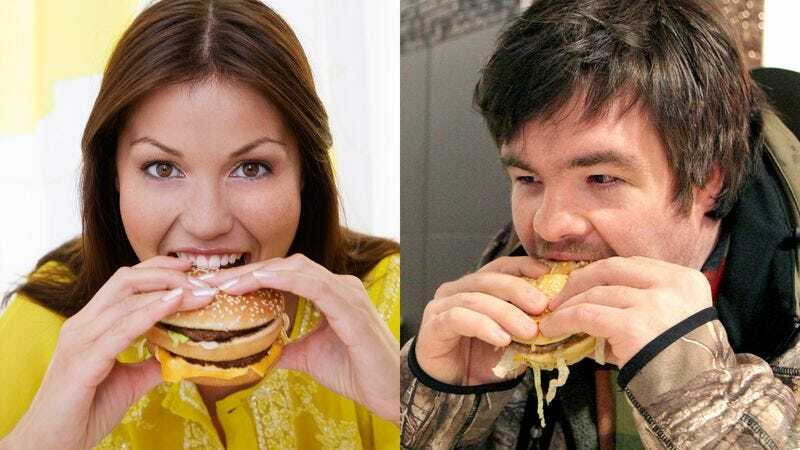 “The Burger King customers looked so good on TV, but when I got here they turned out to be kind of gross,” said Strauss, emphasizing that the sloppy, greasy customers at his local Burger King were considerably less photogenic and enticing than the patrons prominently featured in company advertisements. “They actually look pretty messy and sort of disgusting in person, and you can tell they’ve just been sitting out here all day. I guess there’s a reason they don’t show you these ones in the ads. Ugh.” Strauss added that he tends to stay away from fast food customers in the first place, as he can tell that they’re not very healthy.